Thanks to everyone who played along with Keryn’s Anniversary dare last week. 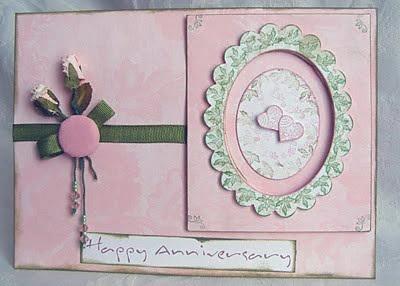 Once again you didn’t disappoint us with your beautiful creations and we’ve all had fun, blog hopping to see them all. 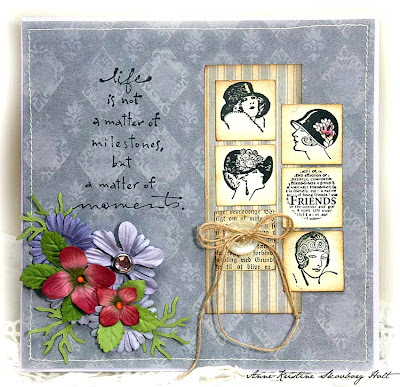 Sadly, this week will be Anne-Kristine's last creation for us, we hope you've gained as much inspiration from her fabulous cards as we have. 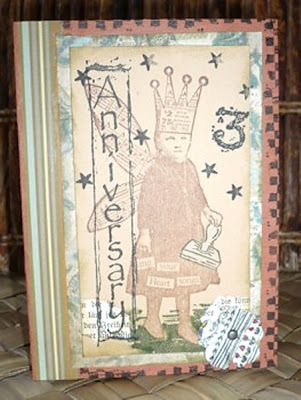 Thank you Anne-Kristine for sharing your special brand of creativity with us these last few weeks. 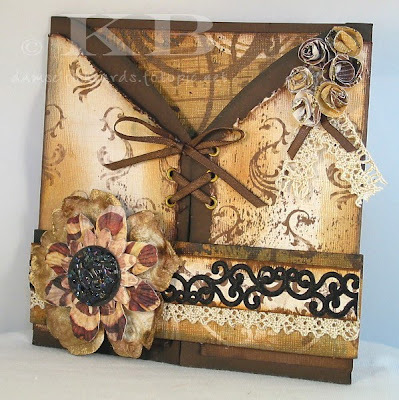 This week it’s my turn (Sue) to dare you and I was having a bit of trouble finding a challenge that would stretch the imagination and get those creative juices flowing. 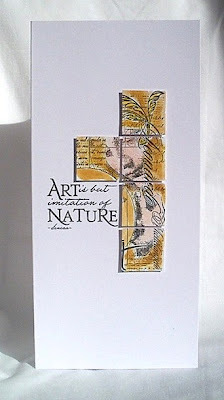 The idea for Inchies came to me when I was chatting to a friend about people taking liberties and she uttered the old saying, “give them an inch and they take a mile”……..Ahh. Inchies I thought!! 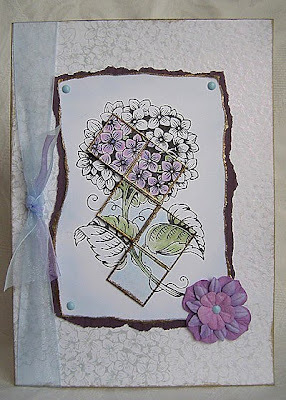 "Inchies" are 1 inch (or 2.5cm) squares of card, inked, painted, papered and decorated in any way you like, they are often made to a theme then swapped with others in a group rather like ATCs are. 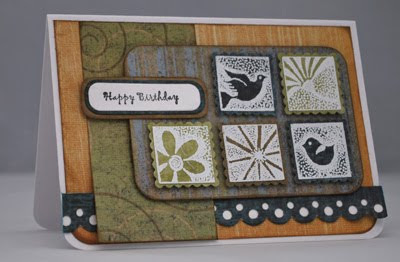 So my dare this week is to make inchies and put just five of them on your card. There’s no set theme, colour or shape, I’m just intrigued to see how many different ways you can arrange the five tiny squares. 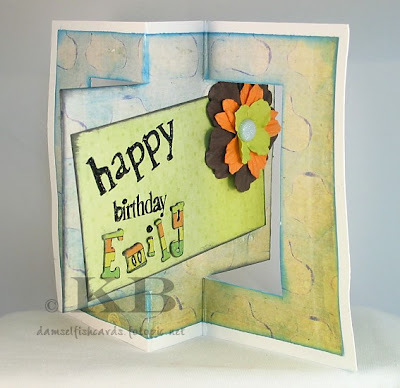 When you’re done, link your cards in the usual way so we can all come see your creations. 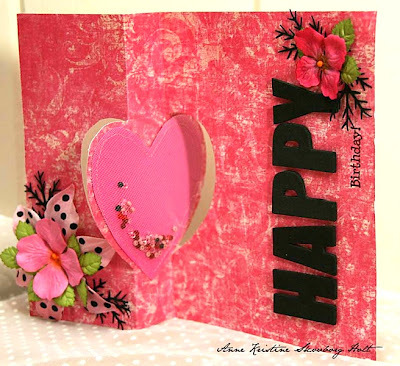 If you’re looking for a bit of inspiration, the design team have come up with some great arrangements on their cards as you will see when you scroll down but I’ll let you into a little secret, even they were complaining that it was difficult this week. 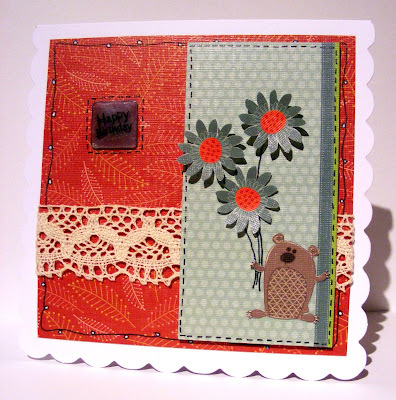 So off to your craft desks with you, I can’t wait to see all your cards!! 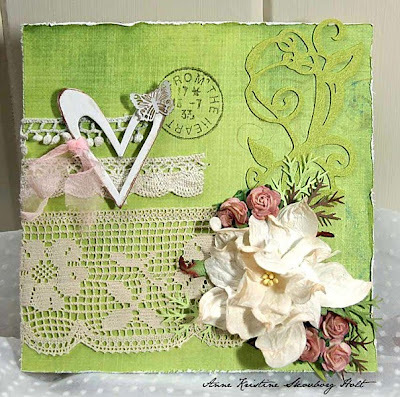 Thanks everyone for joining in with Kathy's LACE dare last week. 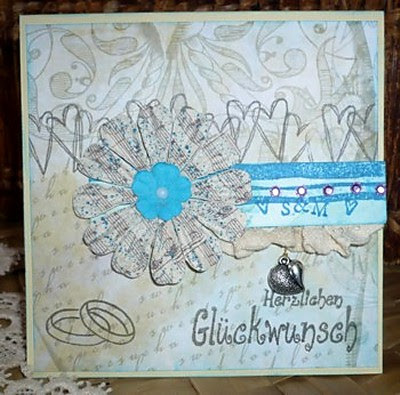 It was fun seeing all the different interpretations you've used for the word lace. Hi it's Keryn here and it's my turn to set the dare this week. 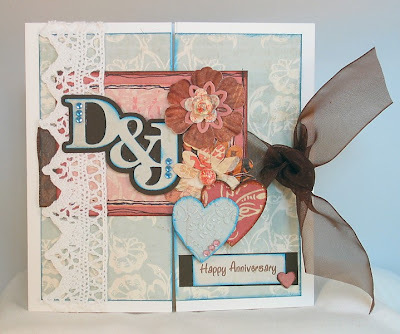 As I'm completely involved in the planning and preparation for my 2nd Anniversary, Hostess Appreciation party as a Stampin' Up!® demonstrator the dare that came to mind was Anniversaries. 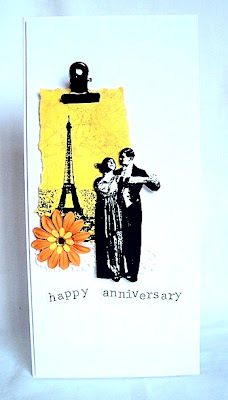 Wedding Anniversaries are what automatically comes to mind but you could make cards to celebrate any special occassion in your life or someone else's life. 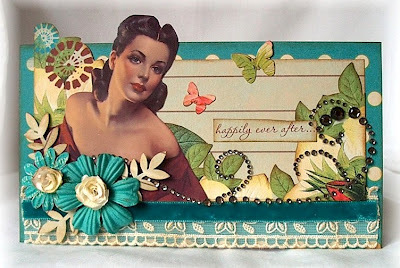 As always we love to see your creations. 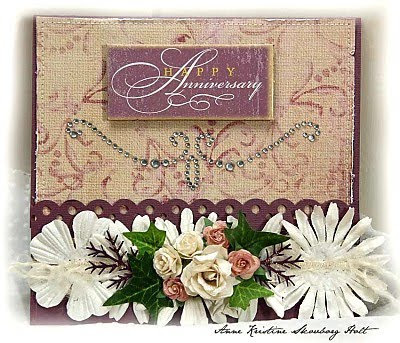 Leave us a comment on this post telling us where to find your Anniversary work of art. Keep scrolling down to see the inspiration that the design team have provided for us this week. Thanks to all those brave souls who rose to the challenge and entered a card for our "Flip-Flop, or Swing" dare last week. 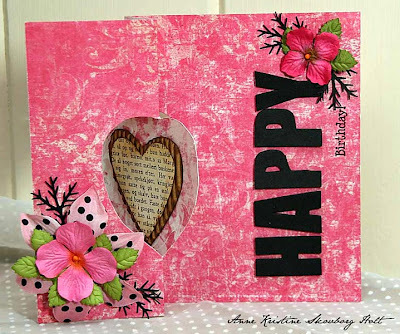 What a fab array of cards, we loved seeing them and we hope you enjoyed trying something a little different as much as we did. 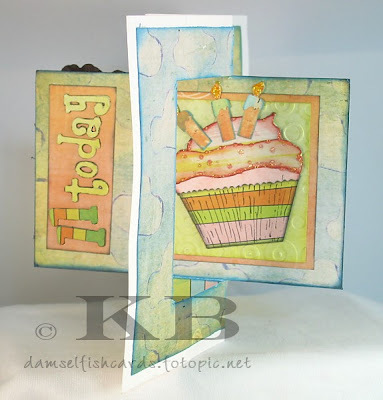 This week it's me, Kathy, here to set the dare and I think you'll find it a little easier than that one was - though of course if you're still in the "Swing" of swing and flip cards you could always make another one and incorporate this new challenge into it! 1. a net-like ornamental fabric made of threads by hand or machine. 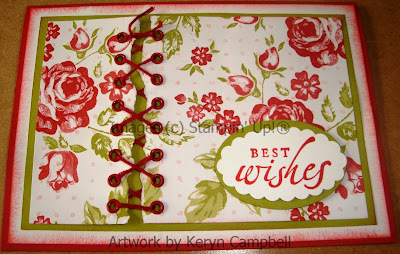 2. a cord or string for holding or drawing together, as when passed through holes in opposite edges. 3. ornamental cord or braid, esp. of gold or silver, used to decorate uniforms, hats, etc. 4. a small amount of alcoholic liquor or other substance added to food or drink. 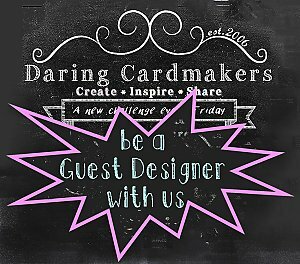 Please come back and let us know where we can see your cards as we love to see your creations, and please don't forget to give The Daring Cardmakers a mention on you blog! 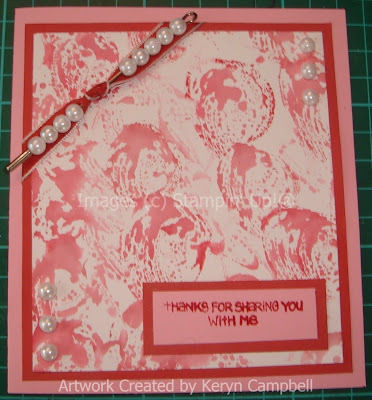 Thank you for sharing all your wonderfully Bejewelled Creations with us last week - all those lovely Sparklers looked fantastic and we really enjoyed visiting your blogs to see then. Now, this week it should be Jo's turn to set the challenge, but disaster struck and a power surge knocked out both of their computers - what a nightmare. Hopefully she'll be using the time to think up some cunning dares to bamboozle us with and will be back here where she belongs really soon. 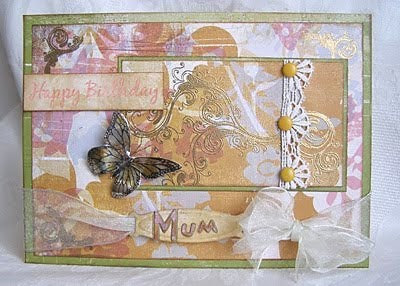 For now though, Sue has stepped into the breach and come up with a little card-making task for us. 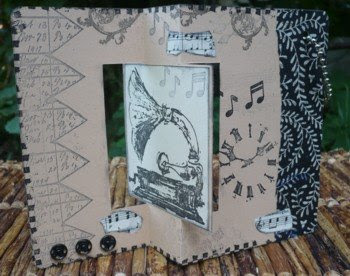 "I would like you to make a 'Flip Flop' card........, no, not the sort of flip-flop that you wear on your feet but a card where the centre flips over to reveal an image or sentiment on the other side." 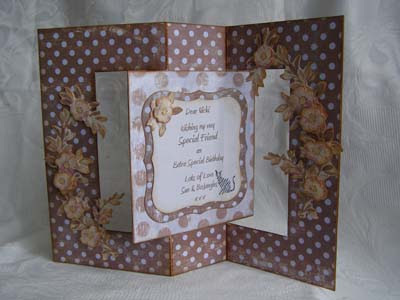 And some template with different shaped centres on Time for Crafting. 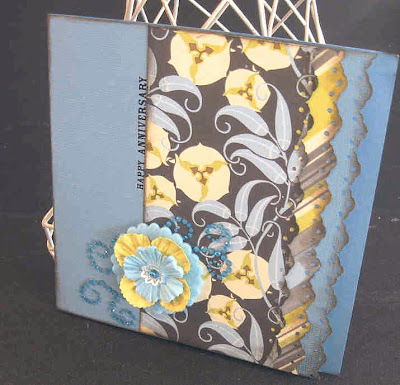 Or maybe you'll like THIS great video on You Tube that uses your Cuttlebug and Nestabilities. 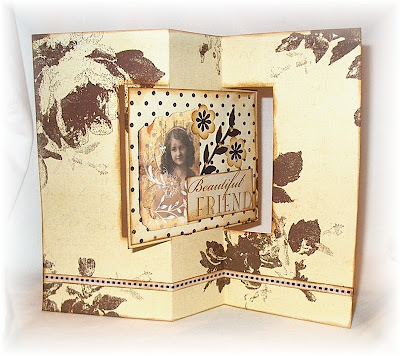 Last week we said a fond farewell to our lovely July Guest Designer Gail. 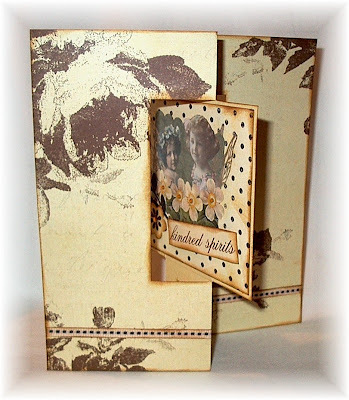 It was great to have her working with us and we really enjoyed seeing her cards on the DCM blog - Thank you, Gail. 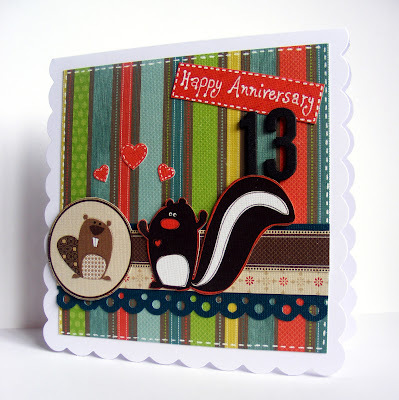 This month we have not just one, but two Guests on the Design Team and they both create absolutely stunning works of art. What a Sizzling Summer (well for us on this side of the world, anyway!) Special Treat for August - you're going to love these girls! 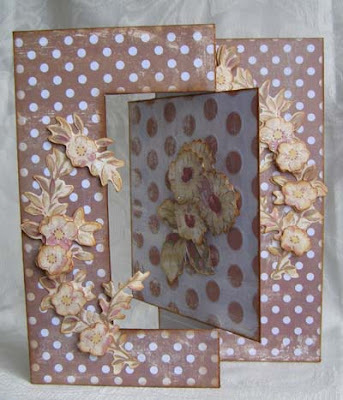 Click on their names to visit their blogs - and be prepared to see some wonderful crafting!